Florena and I sat in the cozy and comfortable Andrades Mexican Restaurant in Old Towne Petersburg, Virginia. It was Florena's birthday and she wanted to celebrate. First, she ordered a mango margarita, and I ordered a Sangria. The server returned with our drinks and some nachos. He then promised to return for our dinner order. Studying the menu, I had a few questions for my lifelong friend. "So, how are you this week? Last week, you were crying the blues over some money issues," I asked. "Oh, I'm doing better. I guess I just needed to vent," Florena replied. Still perusing her menu, Florena stated, "I did do something, though." "Well, I went to social services to apply for food stamps. Actually, it's called an EBT (electronic benefits transfer) card," she replied. Guzzling my Sangria, I asked, "Really? Why did you do that?" I then released a hiccup. "My funds are a little tight until I return to work full-time in a few weeks. I told social services that I need it for just a short time," Florena replied. "Yes, food stamps are supposed to be a temporary help for people," I said. "It's called an EBT card. I like that better than 'food stamps'," Florena said. Minutes later the server returned, took our dinner orders and refilled our alcoholic beverages. I had ordered the seafood eenchiladas and Florena ordered the chicken burritos with a side salad. I made sure that my third glass of Sangria had been ordered and then place another order for a fourth glass - for when my third glass goes empty. Once our dinner order had arrived, Florena restarted our conversation. "You know getting food stamps is a humbling experience," she said, sipping her mango margarita. "I'm sure it is," I offered. "My social worker was very nice and helpful," Florena said. "Yes, I know a few social workers. They are as nice to you as you are to them." "Last Friday, I didn't know what I was going to do for food or money. I was so stressed and depressed," Florena said. "I could tell in your voice. I'm glad you're better, now." "Yes, I am," she said. After more conversation and laughing at an irate customer who thought that the wait staff was laughing at her (which they were not), the server returned to close us out for the evening. He asked, "Will this be on one check or two checks?" Immediately, Florena said, "Put this on two SEPARATE checks," with authority. After I had collected my senses, I said, "Well, well, well....two separate checks, huh? I was gonna treat you for your birthday. But, not anymore. Last Friday, you were on the phone crying the blues over money like B.B. King. Now today, you think you got money like Jay Z and Beyonce!" "I got money on my card," Florena said with a laugh. With wide-eyed expression, I replied, "Ummmmm....you know this is a fine dining establishment." "Yes, I do. And what are you saying?" asked Florena. Giggling, I replied, "Ummmmm.....they don't accept food stamps for payment." Looking toward the front door, I continued, "All I see on the door is Mastercard, Visa and Discover. 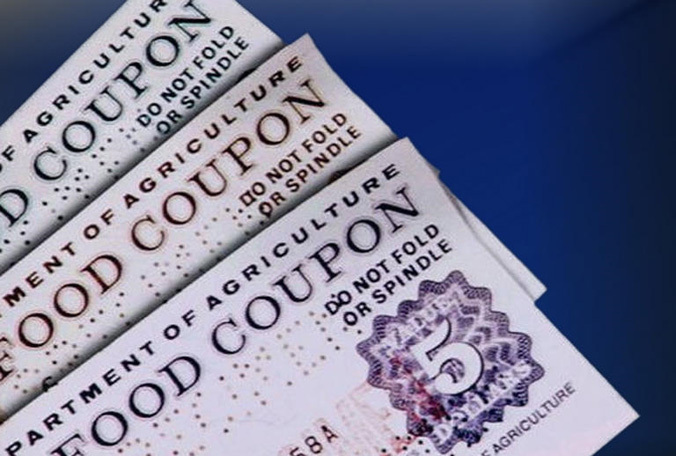 There is no sign for EBT or food stamps." I then released a deep, guttural laugh. In a high-pitched voice, Florena asked, "Do you think that's what I'm trying to do - pay for my meal with food stamps - huh? I'm going to pay with my debit card." Laughing uncontrollably, I replied, "After the weekend you just had? Yes, Beyonce! Make sure you got money on your debit card! No food stamps allowed in this fine establishment!" Trying to refrain from laughter, Florena replied, "Charles, you are so wrong and so bad! One day...just one day..."
Now, I did grab the check and paid for Florena's birthday dinner and drinks - that was the least I could do. Well I got a good laugh to end the night on! A big, hearty, loud belly laugh...hopefully I did not awaken anyone in the household! Keep the stories coming Sir Charles! Charles you have me in tears!! Thanks for the laughter.